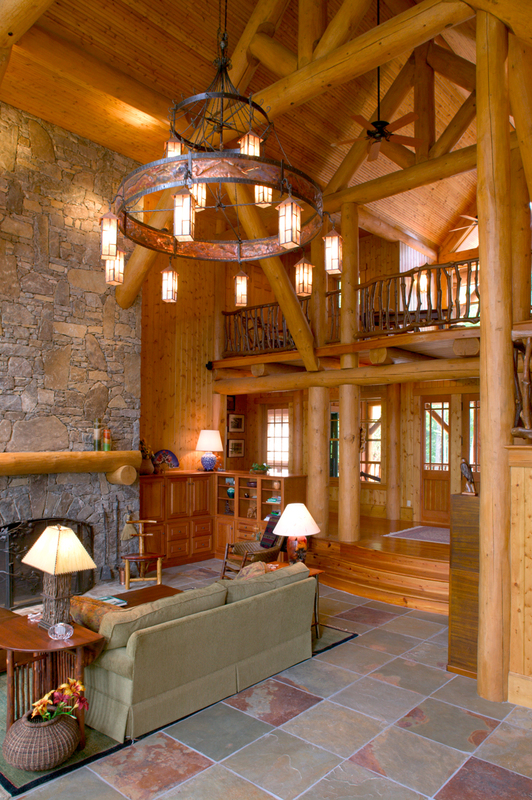 These Clients told me their dream home was an Adirondack Lodge in the Mountains of Upstate New York. So, that’s what I designed. They had purchased a Mountain top property just outside Waynesville, NC which was a perfect opportunity to design a home that would take full advantage of the sun and views. 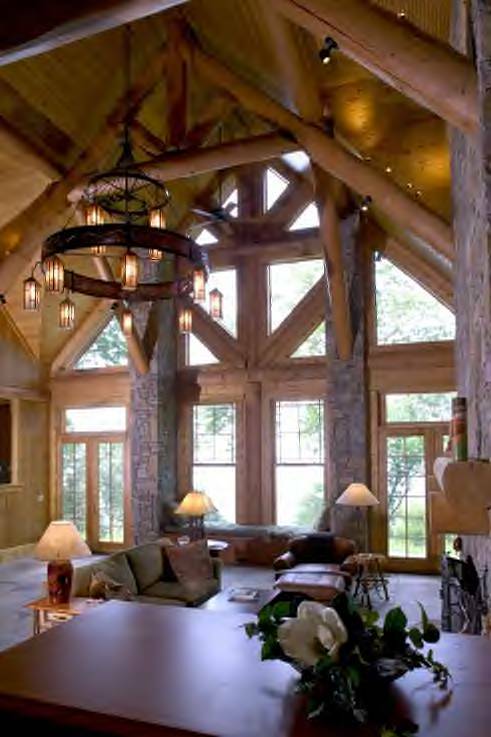 It is not a "log home" but has Douglas Fir log beams, columns and brackets throughout. After twenty years, they are still enjoying their home and will probably love it for another 40 years more! 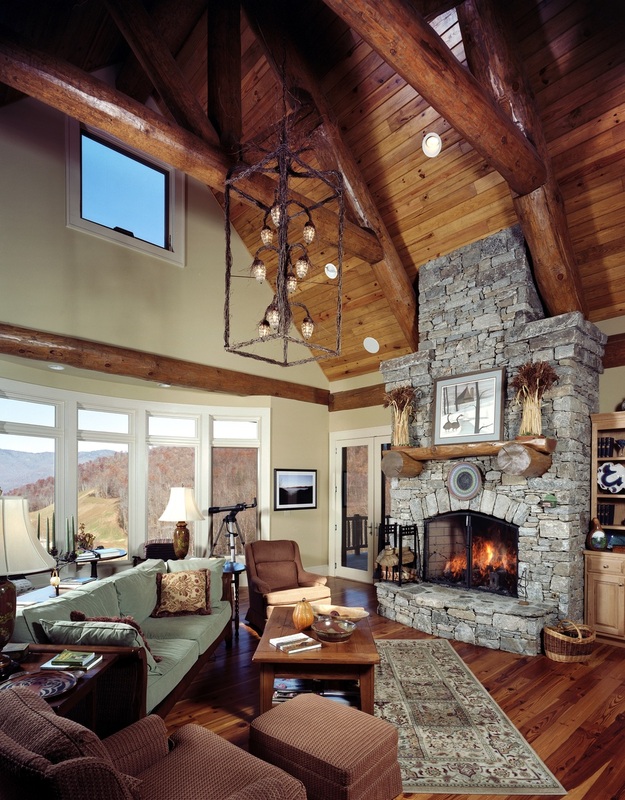 This hybrid Adirondack home was designed for clients at Balsam Mountain Preserve. I helped the Owners pick the site and, although I knew I would be a difficult property, the orientation and views were well worth the effort. To fit in the topography, there is 1/2 level from the detached garage to the main floor entry. The stair became the stair to the detached guest suite over the garage. 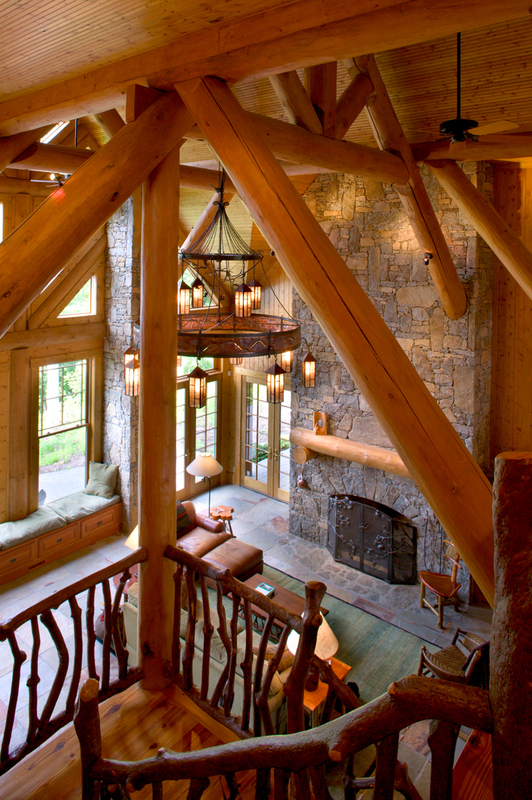 to make the home "remarkable", I added a top level to the stair tower reminiscent of a forest "fire tower". The Owner's call it their "Cocktail Tower".